Thomas & Mercer, 9781612185262, 240pp. Aging baby boomer Joyce Lackey never imagined she could go from having it all to being forced into an early retirement she can't afford. Increasingly alone and desperate, Joyce turns suicidal--until she's put in touch with a mysterious benefactor, X-Gen Agency. X-Gen offers Joyce a literal new lease on life. Through a near- miraculous medical development, the agency can make Joyce twenty years younger. But the illegal nature of the procedure requires that Joyce fake her own death and stay financially beholden to X-Gen for the rest of her new life. Willing to do anything to escape her hopeless situation, Joyce signs on the dotted line and wakes up after surgery a brand-new woman. Her new existence comes complete with a job, friends, and a renewed passion for all the pleasures she once indulged in. 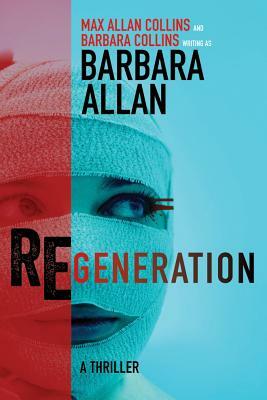 But when murder strikes the people around her, Joyce discovers X-Gen sits at the center of a deep, dark conspiracy--one that could see her buried before her new life really begins.